From Urban Outfitters come these Dink Striped Aviator Sunglasses. 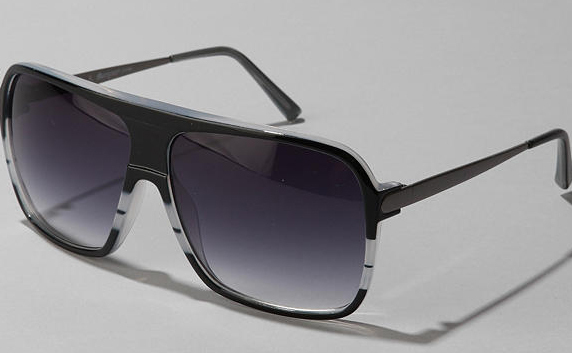 The oversized rectangular aviators feature white striped detailing on predominantly black frames. Finished with contoured metal arms and gradient tint lenses, you can get them online now.